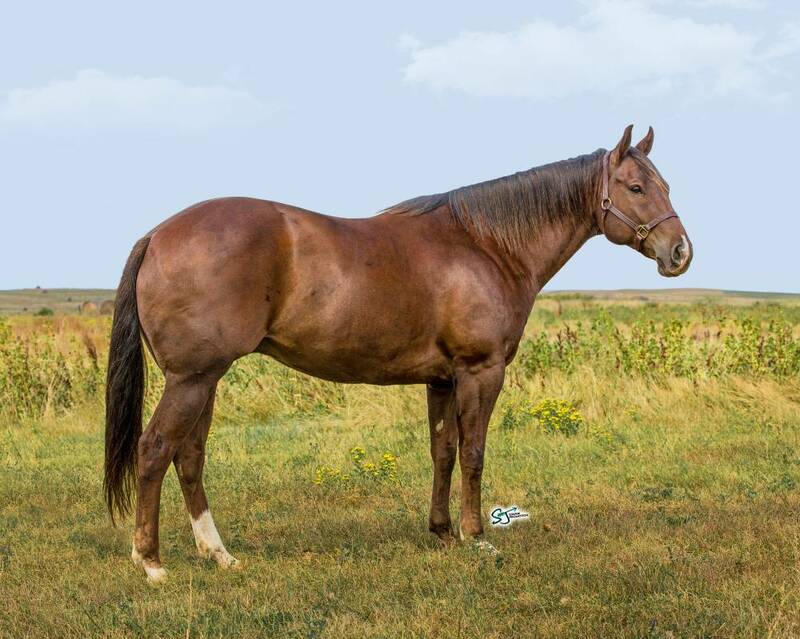 Gorgeous, athletic and gentle are just the start of this impressive gelding. Dash is a six-year-old gentle giant, and at 16 hands he is handsome, friendly, laid-back, and lighthearted. Coming out of the Jud Little breeding program, Dash is by a Dash Ta Fame stud on top and out of a Bugs Alive in 75 mare. He has seen a lot of ranch miles, and can go all day. We started this horse on the barrel pattern but his real calling seems to be as a head horse! He has been started in all aspects of roping (heading, heeling , and breakaway) here at the house and really likes being behind cattle. He is really coming along nicely in the heading and that seems to be his strongest area. To bring him along, he has 30 days professional training with Paul Griemsman. Dash has been trail ridden and camping in the Black Hills, and is content whether in a large group or alone moving cattle. He loves people and will go out of his way to say “hello“. He is the type of horse that is suitable for anyone and will bring pleasure in owning him. Finding another one with his looks, breeding and solid ranch foundation is like the proverbial needle in a haystack. Take him on as a performance prospect or he would be just as happy to be a trail horse. Do not pass him up!